This will be yet another easy one to find I'm sure. This is Steve Berra's second pro model on Birdhouse. Edit. 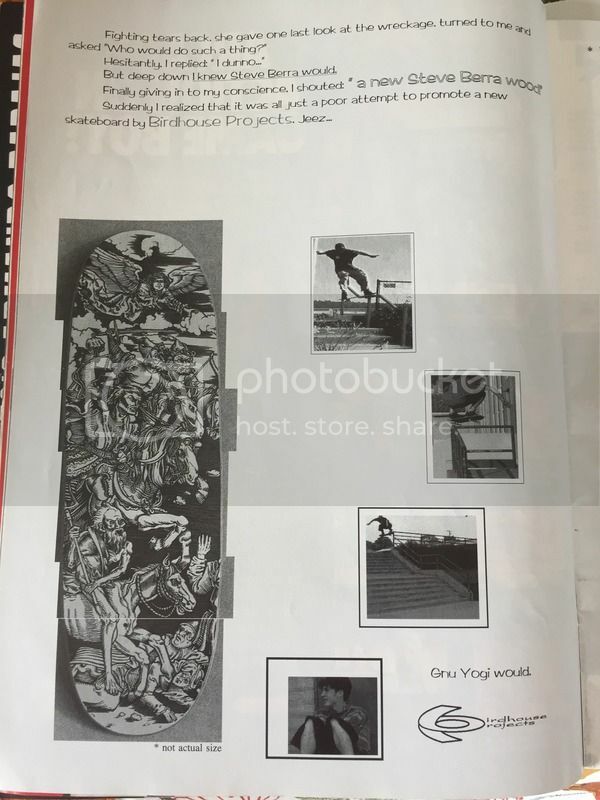 I found the ad from 1992 with a picture of the board. The first of a ton of bumps i'm sure. oh god... why do you do this to yourself? Ya know Durer gonna be coming around to collect his royalties. "*Where thoust be me geld yee buttholes!" (*in german).